The Mahayana OCT Boutique Hotel is located in the Yuantian District, 30 km from downtown Shenzhen and 75 km from the airport. 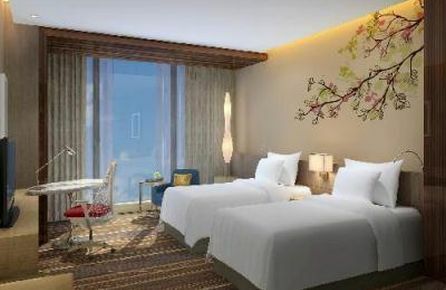 The hotel is the perfect place to visit the city's nearby attractions, including Dameisha Beach, Xiaomeisha Beach, and the wildly popular tourist area of the Overseas Chinese Town, home to various theme parks and given the highest rating by China's National Tourism Administration. The Mahayana OCT Boutique Hotel has 22 comfortable and spacious guest rooms featuring contemporary décor inspired by traditional Chinese culture. Each room comes equipped with a private bathroom, balcony, LCD TV, and free internet access. Guests of The Mahayana OCT Boutique Hotel will appreciate the hotel's excellent service and superior amenities, including guided tours of local sites, dry cleaning and laundry service, fitness center, relaxing sauna, spa, and concierge. The hotel also features a full-service bar and restaurant serving traditional regional cuisine. The Mahayana Oct Boutique Hotel in Shenzhen! The Honlux Apartment is located in the seaside city of Shenzhen, just a short drive from the city center, where all the most popular shops, restaurants, and entertainment options are. The hotel is situated within walking distance to a number of local attractions, such as Shekou Sea World and the Shekou Ferry Terminal. 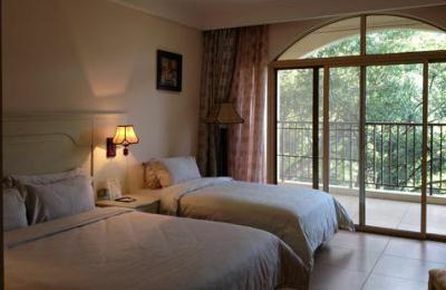 The hotel is also just 20 km from Shenzhen International Airport. Honlux Apartment has 101 comfortable and spacious guest rooms featuring large windows, crisp white linens, and simple yet elegant décor. Each bright room comes equipped with a private bathroom, LCD TV, sitting area, and free internet access. Honlux Apartment offers guests professional and friendly service with a host of modern amenities, including laundry service, airport transfer, concierge, and common lounge area. The hotel also features a relaxing café, full-service bar, and a restaurant serving regional and international cuisine with available 24-hour room service. The U Hotel is conveniently located in the seaside city of Shenzhen, just 5 km from the vibrant city center and 19 km from Shenzhen Airport. The hotel is situated near a wide range of shops, restaurants, and local attractions, including the Grand Theatre, Shadu Song and Dance Hall, Shekou Sea World, and the Shenzhen Danan Mountain Reform and Open Memorial Park. 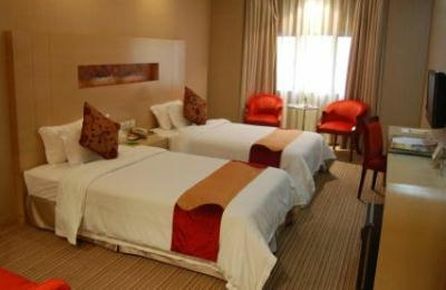 The U Hotel has 109 comfortable and spacious guest rooms featuring simple contemporary décor and modern amenities. Each bright room comes equipped with a desk, sitting area, TV, shared bathroom, and free wireless internet access. 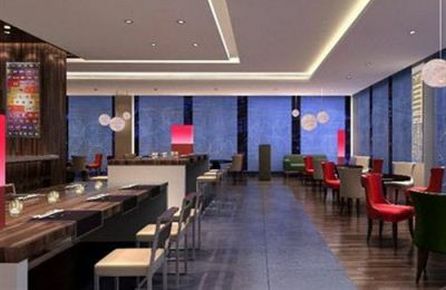 Guests of the U Hotel will appreciate the hotels various features, including a business center, common lounge area, coffee shop, meeting facilities, gift shops, and a restaurant serving regional and international cuisine with available 24 hour room service. 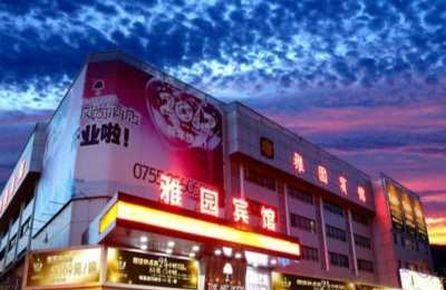 The Shenzhen Xingkong Xinyu Hotel is located on the coast of Maodong Bay, 64 km from downtown Shenzhen. The hotel is situated near a variety of local attractions, such as Dapeng Ancient City, Tianhou Ancient Temple, and Shuitousha Beach. 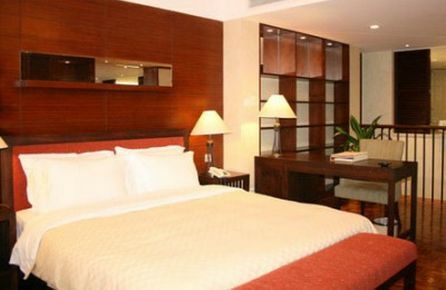 Shenzhen Xingkong Xinyu Hotel has 72 bright and spacious guest rooms featuring classic tasteful décor and modern amenities. Each comfortable room comes equipped with a private bathroom, TV, desk, air conditioning, and free wireless internet access. Guests of the Shenzhen Xingkong Xinyu Hotel are welcome to take advantage of the excellent services and facilities the hotel has to offer, including 24-hour room service, friendly and professional staff, meeting facilities, peaceful courtyard, rooftop terrace, and safety deposit boxes. Shenzhen Xingkong Xinyu Hotel in Shenzhen! The Bauhinia is located in the heart of downtown Shenzhen, close to all of the areas renowned shops, bars, restaurants, and entertainment options. The hotel is conveniently situated near the MixC Shopping Mall, King Glory Plaza, Dongmen Market, and Luohu Commercial City. The hotel is within walking distance from the Guomao Metro Station, and 32 km from Shenzhen International Airport. 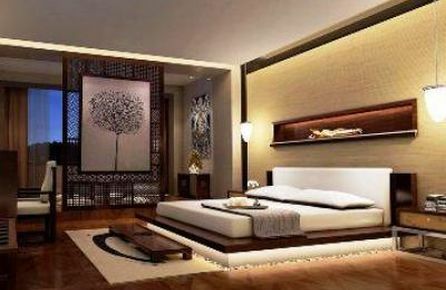 The Bauhinia has 158 bright and spacious guest rooms, featuring modern décor and large windows. Each comfortable room comes equipped with a private bathroom,desk, LCD TV, sitting area, and free wireless internet access. The Bauhinia features a wide range of amenities for guests to enjoy, including a business center, shared family room, laundry service, meeting facilities, and concierge. The hotel also offers a full-service bar with relaxing lounge and a restaurant serving regional and international cuisine with available 24-hour room service. The Portofino International Apartment is located in the Italian-style area of Portofino in Shenzhen's Overseas Chinese Town, one of the country's most popular destinations. The hotel's convenient location allows guests to access all the best shops, restaurants, and entertainment options the vibrant city has to offer. Nearby attractions include YiTian Holiday Plaza, Shenkou Sea World, and all of the theme parks within Overseas Chinese Town. Portofino International Apartment has 65 comfortable and spacious guest apartments featuring elegant contemporary décor and modern conveniences. Each bright apartment includes a full-equipped kitchen with utensils, private balcony, bathroom, living room with TV, dining room, and complimentary internet access. Guests of Portofino International Apartment will appreciate the hotel's fine on-site facilities, including both indoor and outdoor swimming pools, tennis court, badminton courts, table tennis, and fitness center. Portofino International Apartment in Shenzhen! The Hotel Kapok is located in the heart of downtown Shenzhen, close to all of the areas renowned shops, bars, restaurants, and entertainment options. The hotel is conveniently situated near the MixC Shopping Mall, King Glory Plaza, Dongmen Market, and Luohu Commercial City. 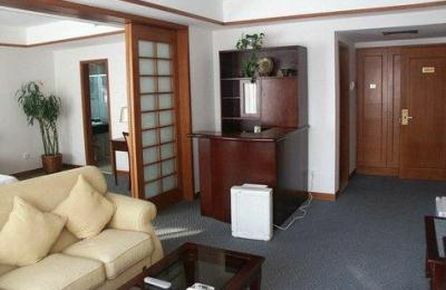 The hotel is within walking distance from the Luohu Metro Station, and 32 km from Shenzhen International Airport. The Bauhinia has 116 bright and spacious guest rooms, featuring modern décor and large windows. Each comfortable room comes equipped with a private bathroom, desk, LCD TV, sitting area, and free wireless internet access. The Bauhinia features a wide range of amenities for guests to enjoy, including a business center, coffee shop, laundry service, meeting facilities, and concierge. The hotel also offers a full-service bar with relaxing lounge and a restaurant serving regional and international cuisine with available 24-hour room service. The No 8 Plaza-The Art Hotel is located just 8 km from bustling downtown Shenzhen, where a wide variety of popular shops, restaurants, nightclubs, and entertainment options are located. The hotel is situated near Dongmen Market, Luohu Commercial City, and the local Metro Station, providing a perfect base to explore the vibrant city. No 8 Plaza-The Art Hotel has 40 comfortable and spacious guest rooms featuring modern décor and all the conveniences of home. Each room comes equipped with a private bathroom, air conditioning, hair dryer, sitting area, LCD TV, and free LAN internet access. The No 8 Plaza-The Art Hotel offers professional and friendly service and a number of features that guests will appreciate, including gift shops, room service, laundry service, and an elevator. No. 8 Plaza The Art Hotel in Shenzhen! The Hilton Garden Inn Shenzhen Bao An is located in the Bao'an District of the vibrant city of Shenzhen, 12 km from Shenzhen International Airport and 46 km from downtown Shenzhen. The hotel is situated in an area known for its businesses, shopping, and restaurants, and allows guests to easily access many of the city's most popular attractions. Hilton Garden Inn Shenzhen Bao An has 213 comfortable and spacious guest rooms featuring contemporary décor, comfortable furnishings, and modern amenities. Each room comes equipped with a private bathroom, sitting area, desk, LCD TV, and free wireless internet access. Guests of the Hilton Garden Inn Shenzhen Bao An will appreciate the hotel's various features, including a fitness center, ATM, meeting facilities, guided tours, currency exchange, business center, and concierge. The hotel also offers a restaurant serving delicious regional and international cuisine with available 24-hour room service. Hilton Garden Inn Shenzhen Bao An in Shenzhen! The Shenzhen Sunon Hotel is located in the heart of downtown Shenzhen, close to all of the areas renowned shops, bars, restaurants, and entertainment options. The hotel is conveniently situated near the MixC Shopping Mall, King Glory Plaza, Dongmen Market, and Luohu Commercial City. The hotel is within walking distance from the Lao Jie Metro Station, and 32 km from Shenzhen International Airport. 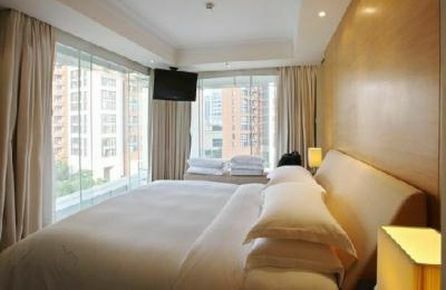 Shenzhen Sunon Hotel has 129 bright and spacious guest rooms, featuring tasteful contemporary décor and large windows. Each comfortable room comes equipped with a private bathroom, desk, LCD TV, sitting area, and free wireless internet access. The Shenzhen Sunon Hotel features a wide range of amenities for guests to enjoy, including a coffee shop, laundry service, smoking area, and safety deposit boxes. The hotel also offers a full-service bar with relaxing lounge and a restaurant serving regional and international cuisine with available 24-hour room service. Shenzhen Sunon Hotel in Shenzhen!